Oh, I know that on the surface it would seem to make more sense to give kids college study skills training right before they’re actually going to need it. . .
Those are all fantastic times to take a college study skills class. But 7th or 8th grade? That’s absolutely magical. 1. A class like this shapes the way the student sees herself and her future. Middle schoolers tend to feel immensely flattered that someone—a parent, a teacher, or a middle school youth pastor—sees them as so intellectually capable that the topic of college is coming up already. Oh, every student will object initially when an adult brings up a class like this of course—but once the student knows that attending is not negotiable, even a “low-to-average” achieving middle school student will secretly start to feel an internal glow of pride about it. 2. Middle school students eagerly devour this material. After just about five minutes in my college study skills class, students are sitting straight up on the edges of their chairs, ears and eyes wide open. The minute I finish explaining the importance of taking notes with pen and paper and not with computers, these students are drawing vertical lines down the margins of their papers and taking page after page of detailed notes. When I ask to see the notes they’ve taken at the end of the class and I marvel and exclaim over them, they swell up with pride. When I explain exactly how to review the notes later to lock in the concepts in as little time as possible, they write down every word I say. I find that middle school students are especially eager to listen, eager to take notes, eager to review, and eager to implement the strategies after they’ve learned them. This presents an opportunity that is just too valuable for us to overlook. Parents, if your kids balk at coming to this class when you first bring it up—pay them to attend if that’s what it takes. You’ll recoup the investment 100 times over later. 4. Brain development research tells us that middle school is the perfect time for us to be talking about these things. Middle schoolers’ brains are growing at an explosive rate—faster than at any time since infancy. Neural pathways are being pruned and strengthened, and so any experience they have during these years is likely to stick with them—in technicolor—for years and years afterward. Often for a lifetime. I want it to be during these years that they are first reached with the message of what it takes to succeed in college. If we are able to do this, the college success strategies we give them will be locked in in ways they will not be if we wait until just before or during college. 5. Students who learn college study skills early on do better in high school. They get better grades in high school, they take and pass more CLEP tests, they succeed at higher levels in dual enrollment courses in 10th, 11th, and 12th grades, and they tend to apply for and win more college scholarships between the ages of 13 and 22. 6. Students who take this path will walk onto their college campus with a 6-year track record of organizing their academics in ways that actually work. When these students hear college friends talking about ridiculously ineffective college strategies like keeping track of due dates in their heads, or waiting until the last minute and cramming for exams, they’ll look at those friends like they’re completely out of their minds. 7. Students who learn high-level college study skills early on tend to feel greatly relieved of fear and pressure. How much is that worth to a parent? In this 3-hour class, students age 12–26 learn the advanced studying, test-taking, and paper-writing strategies that top students use to succeed at the most prestigious colleges in the country while still having plenty of time left over for leadership, interning, and having more fun than they ever thought possible. Students will leave at the end of this class armed with a systematic review method developed at Carnegie Mellon University that can completely eliminate the need to ever cram for exams. This class is ideal for current high school students, middle school students, current college students, graduate students, and teens who’ll be starting dual enrollment college courses this coming fall. Parents are encouraged to attend as well. Take a look at what others are saying about this class. Be the first to know when I next teach this class. Subscribe to my free weekly email newsletter where it says “sign up for email updates” on this site, whitelist the newsletter using the instructions here, and you’ll be notified of your next opportunity to register. Remember, parents, a key part of your job is setting your kid up for successful college and career life. 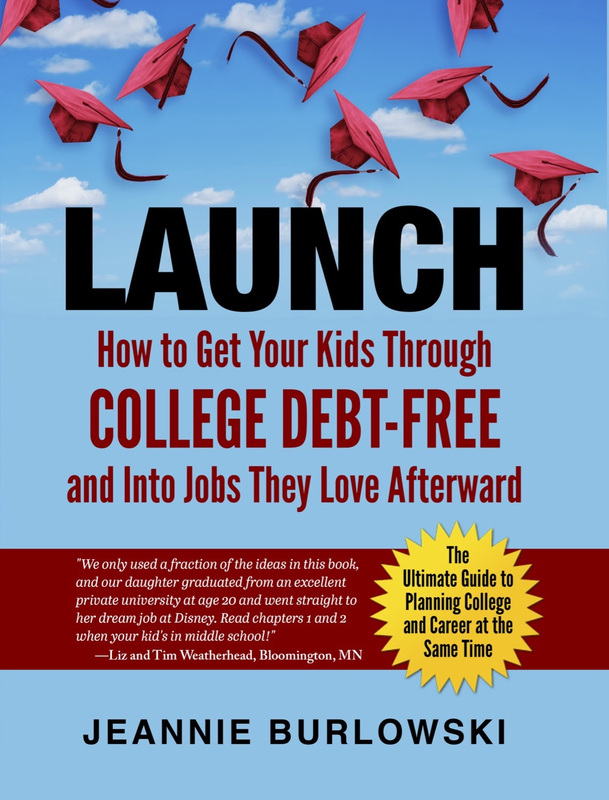 Do you have friends who are currently parenting college-bound students age 12- 26? 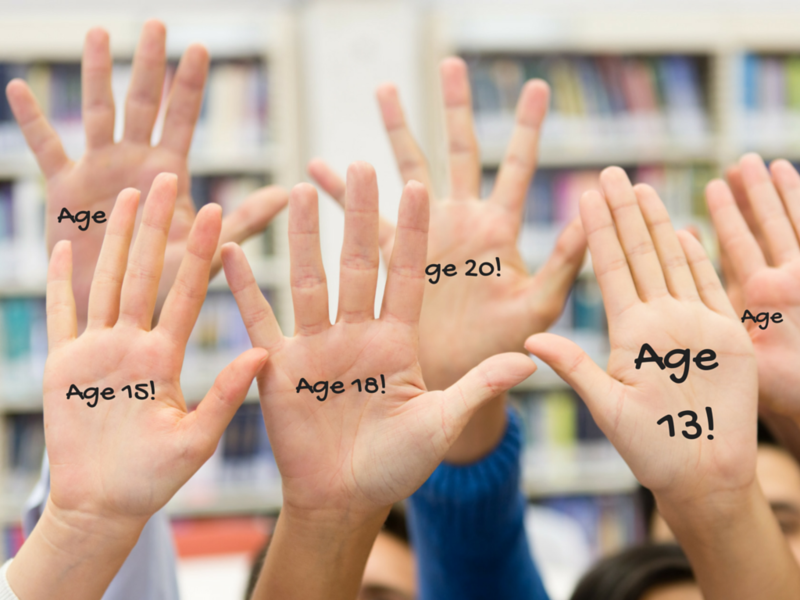 How old were you when you took your first college study skills class? Do you think you could have benefitted from taking it sooner? How so? Comment below or LIKE Jeannie Burlowski Author on Facebook, find this post on that page, and let’s talk about it there.